Earlier this year, we ran an article about my experience with a Project Appleseed rifle marksmanship event that I attended in November 2013. 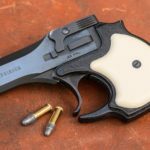 Even if you didn’t catch that post, you might have heard of Project Appleseed before, and there’s a good chance that you associate the program with the 25 yard events where most students fire at scaled-down targets with 22 caliber rifles. It’s a great way to drill the fundamentals of good rifle shooting with a loop sling, and friendly for shooters of all skill levels. But these events are just the starting point for the training offered by Project Appleseed. A couple of weekends ago, I had the chance to attend one of their 2-day “Known Distance” events, firing at targets out to 400 yards with centerfire rifles. If you’re a serious student of the rifle, then you probably wouldn’t consider 400 yards “long range”, even though it seems pretty long compared to 25 yards. So Appleseed uses the “Known Distance” (or KD) label to differentiate these events from the “Unknown Distance” events that incorporate target identification and range estimation as a major part of the curriculum. After achieving a rifleman’s score with an AR-15, one brave soul attempted to repeat his success with an AK. That did not happen. Our time was split between the classroom and the range. 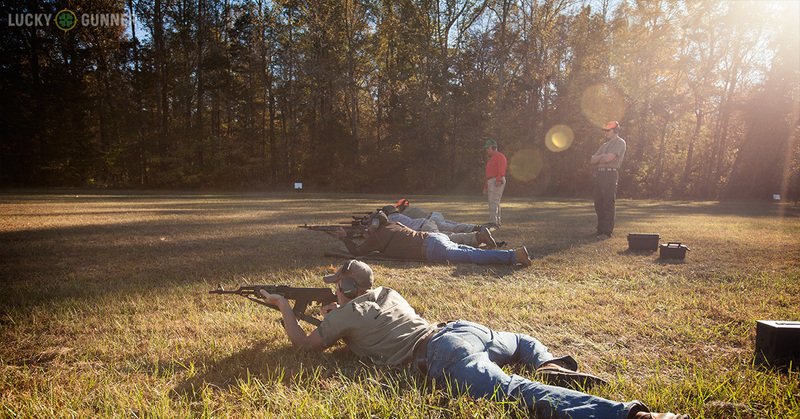 All the students present had attended other Appleseed events in the past, so after a short safety review, we skipped over the marksmanship basics covered in the 25-yard Appleseeds and went straight into the more advanced material. 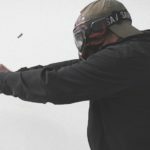 A lot of topics were covered, but the focus was on shot trajectory and how to adjust sights or optics for various ranges. We used online ballistics calculators to estimate the trajectory of each of our rifle/ammo combos so we could compare the data to the actual hits we saw on the range. Heading to the range after lunch, we started at 25 yards to confirm zero, and backed up to the 100 yard line, then 200, 300, and 400. At each distance, we fired 5-shot groups to find out where our hits were going. Ben, the Appleseed head instructor for our class, encouraged us to use a rifle rest or bipod for this part so we could remove as much human factor as possible. I was using a Bravo Company AR-15 with 18″ heavy barrel, Vortex Viper PST 2.5-10×44 scope, and Harris bipod. One of the instructors checking his zero at 400 yards with a Remington 700 SPS in .308 Win. At each distance, I fired one group from the bipod and a second group with a sling in the prone position, recording every hit on a chart. 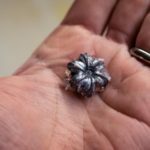 The ballistics data I had gathered earlier matched up with my hits at 25-300 yards, but was off by about 6 inches at 400 yards. A .223 projectile starts to drop off pretty steeply after 300 yards, so the smallest error in the input data could have accounted for the discrepancy. In the end, I determined that I could aim at the center of the 19″-tall targets at any distance up to 300 yards and expect a hit. At 400 yards, 15 clicks on the elevation turret of my scope put me right back in the middle. The .1 mil per click adjustment on my scope turrets were simple to use with the mil and half-mil hash marks on my scope’s reticle. I’ve had this scope for a couple of years, but this was the first opportunity I had to really use the reticle as designed and I think it’s a really user-friendly system. An assistant Appleseed instructor checks his sling tension before running the 100 yard stage of the AQT. After firing a couple of sighter groups, at each distance we ran through a portion of the AQT (Army Qualification Test) on the clock. This was “for score”, so we all used our loop slings and set the bipods and rests aside. Just like at the 25 yard event, we shot from the standing position at 100 yards, sitting or kneeling at 200 yards, and prone at 300 and 400 yards. I continue to struggle with finding a stable kneeling position, but I somehow managed to clear that stage on the first try with 10/10 hits in the black. I scored 9/10 on each of the other stages for a total of 46 out of a possible 50 points. 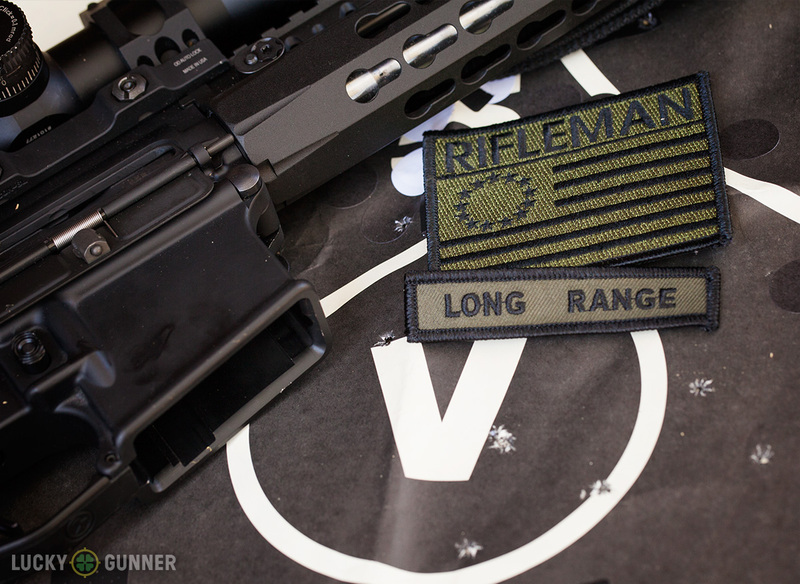 That was enough to earn a Project Appleseed Rifleman patch, something I wasn’t able to pull off at the previous Appleseed event. Apparently, I’m one of very few shooters in the Appleseed program to earn a “Long Range” rocker without already having a Rifleman patch. One of the things I appreciate about the Appleseed program is the emphasis on “good enough” accuracy. I don’t know that they would call it that, but there is a notable lack of emphasis on achieving the absolute smallest group size on the target. The goal is to make every student a “4 MOA shooter” within the time constraints of the AQT. 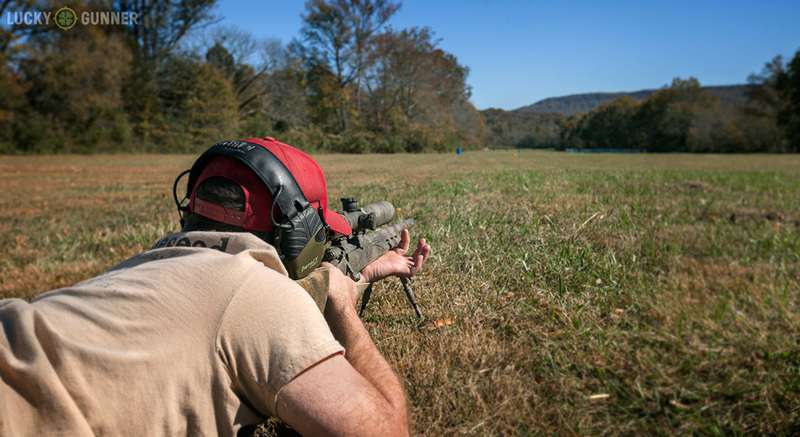 That kind of accuracy won’t win you any CMP competitions, but it’s a realistic goal that the average shooter can achieve with a moderate amount of training and practice and it doesn’t require specialized match-grade rifles or ammo. For those who don’t want to spend a fortune on a bench rest rifle or who aren’t interested in competitive shooting, Appleseed offers the chance to learn rifle marksmanship with affordable gear. Most of the guys were using fairly simple AR rifles with moderately priced optics. I also saw an FN SCAR, an M1 Garand, two DPMS .308 ARs, a Bulgarian AK-pattern rifle, an FN FAL, an M1A, and a Remington 700 SPS. Some of the rifles were obviously better suited to shooting the course than others, but it was clear that you didn’t have to have the most expensive rig on the line in order to do well. Most of the gear-related issues seemed to be ammo-induced problems or difficulty using some of the scopes with proprietary BDC style reticles. The second day of our training was much like the first. We started in the classroom and learned how to estimate range using a scope reticle, or even with just the front post of our iron sights. Unfortunately, we didn’t get to actually practice range estimation since it was the weekend of the daylight saving time-change and being on the Eastern end of the Central time zone, we lost daylight pretty early. Instead, we did a repeat of the drills from the previous day, shooting groups from 25-400 yards along with the AQT. By the end, I felt like I had a much better grasp of what my rifle was capable of and what to expect from the trajectory of .223 ammo. At just $90 for the whole weekend (plus $20 in range fees), the Appleseed Known Distance event is a bargain. I got to meet some great people, learn some new stuff, and shoot for two days. What’s not to like? There are plenty of rifle classes out there run by professional full time firearms instructors who teach more specialized skills and I wouldn’t say Appleseed is a replacement for that kind of training. 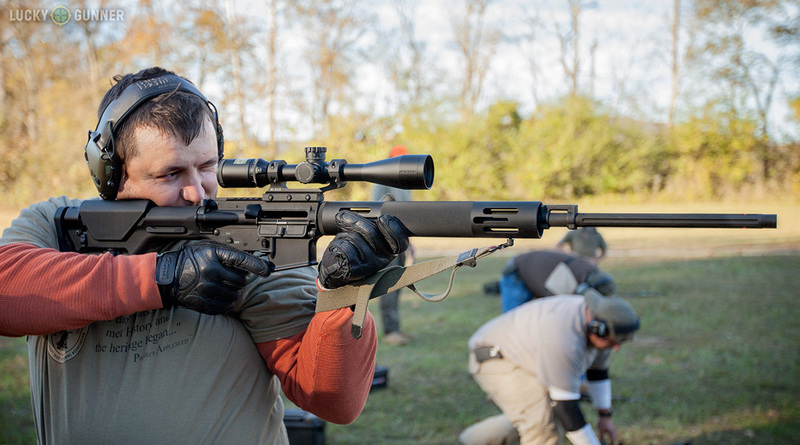 But as a low cost way to step up to the next level of rifle marksmanship or to sharpen your existing skills, you won’t find a better deal than your local Project Appleseed clinic.